Dr. Moore describes and analyzes the phenomena which we call idealizing transferences and projections. 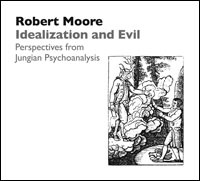 Dr. Moore discusses the role of idealization in the normal developement of the self, and examines the nature and dynamics of pathological idealization. Attention is given to psychological, political, and spiritual implications of this phenomenon. Both lecture and experiental exercise are included.